Here at Brock, we pay heed to the career-oriented studies like co-op and service learning options. This maximizes the chances of exposure, required to find a perfect job after completing the course. Brock is not just a school; it has evolved itself into a community. Students can indulge into other recreation activities by taking benefits of our wide range of clubs, intramural athletic options and co-curricular activities to build their level of interest. 60% marks in the last relevant degree. A minimum of 6.5 IELTS Score (We can help you in clearing IELTS through a short training course). If you want to apply for Canadian Student Visa, you can always contact us. 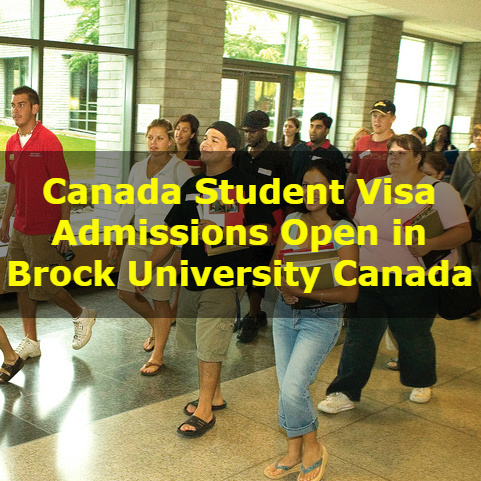 We will assist you in getting admission at Brock University Canada and obtaining Canadian Student Visa.